What Happens When You Take Xanax? Xanax (alprazolam) belongs to a class of drugs called benzodiazepines. It is often prescribed to treat anxiety or panic disorders. Given that the drug can lead to tolerance, dependence, and addiction, it is important to understand all of the potential side effects of Xanax before using it. Who Answers? 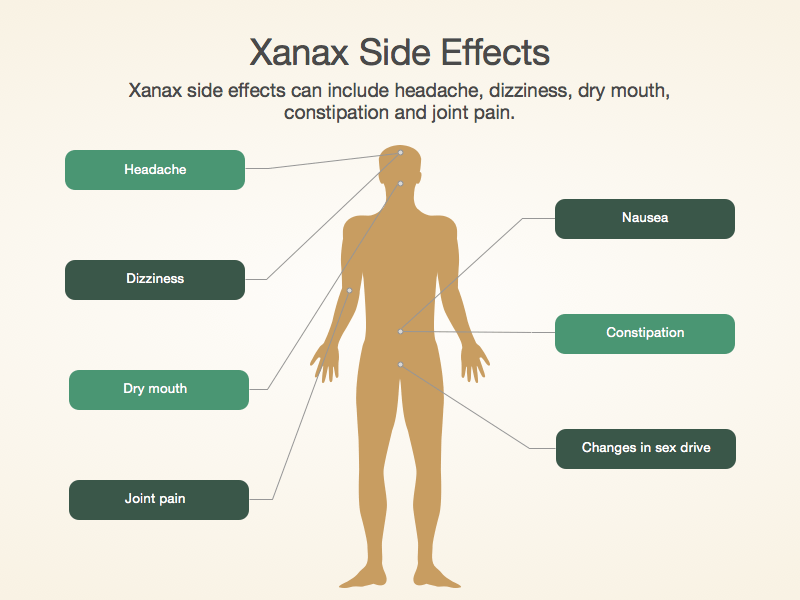 to learn more about Xanax addiction treatment programs. An individual’s physical condition, such as their height and weight. Whether they mix Xanax with other drugs. Whether the person has already developed a tolerance to the drug. Xanax can also cause a number of unwanted side effects. In most cases, the prescribing physician will discuss and go over what the person can expect when using the drug. The doctor will also take other factors into consideration, such as other medications the person is using. This will help them prescribe a safe and appropriate dose. When someone buys or obtains Xanax without a doctor’s prescription or misuses it, they may experience harmful side effects because they may not know what dose they are taking or how it will interact with their body. This type of Xanax abuse also increases the risk of dependence and addiction. Who Answers? to speak to a helpline representative about Xanax recovery options based on your insurance. Xanax can also cause more serious side effects, though these are rare. Someone who experiences any of the symptoms below should seek medical attention. Severe mood or behavior changes. Studies have found impaired memory and visuospatial ability in long-term benzodiazepine users, and long-term users may experience cognitive deficits up to 6 months after stopping use. Relationship issues with family and close friends. Neglecting family and work responsibilities. Financial problems due to the expense of drug-seeking behavior. Mixing Xanax with other substances increases the risk of harmful side effects. Users can become dependent in as little as 2 weeks. When a person takes Xanax for a prolonged period of time, their body can develop a tolerance. Tolerance can lead the person to take larger doses of Xanax or use it more often to achieve the desired effects. As a person develops a tolerance to Xanax and takes more and more, their body quickly becomes dependent on the drug. Once dependence takes hold, a person’s system cannot function properly without it. Users can become physically and psychologically dependent on Xanax in as little as 2 weeks.6 Some users can even experience rebound or breakthrough anxiety after taking a dose. Users who develop a dependence may experience withdrawal symptoms when they stop using. 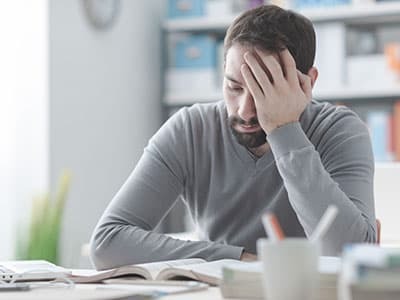 Dependence can also lead to Xanax addiction, which is characterized by compulsive use and continuing to use the drug despite negative consequences. If you or a loved one is struggling with an addiction to Xanax, consider professional detox and substance abuse treatment. Rehab placement specialists are available 24/7 to provide you with information on recovery centers that meet your needs. Call us today at 1-888-319-2606 Who Answers? .
. Drug Bank. (2016). Alprazolam.
. UpToDate. (2016). Alprazolam: Drug information.
. Longo, L. P., & Johnson, B. R. I. A. N. (2000). Addiction: Part I. Benzodiazepines-side effects, abuse risk and alternatives. American family physician, 61(7), 2121-2128.
. National Institutes of Health. (2014). Harmful Interactions: mixing alcohol with medicines.
. Gudin, J. A., Mogali, S., Jones, J. D., & Comer, S. D. (2013). Risks, management, and monitoring of combination opioid, benzodiazepines, and/or alcohol use. Postgraduate medicine, 125(4), 115-130.